Sometimes, I choose not to read articles about money management because most would talk about how shopping can hurt one's finances. I would like to think that I have somehow matured with the way I handle my finances, expenses and impulse buys. But sometimes, I just cannot leave a store without buying anything especially when I see red cards flashing sale. I felt that they are always screaming at me, calling my name. It is much more louder when I visit online stores. I mostly buy items only when they are on sale - physical store or online. I do a lot of hoarding, and keep them in my closet (oftentimes, I forget about them!). The clothes are like dead bodies I keep and bury. They come out like ghosts when the need arises (like, when I need a dress for a friend's wedding). The sad part though, since I get to attend different events now, it seems that my "stocks" are not enough to keep up with the different event invites (some of them even have themes!). 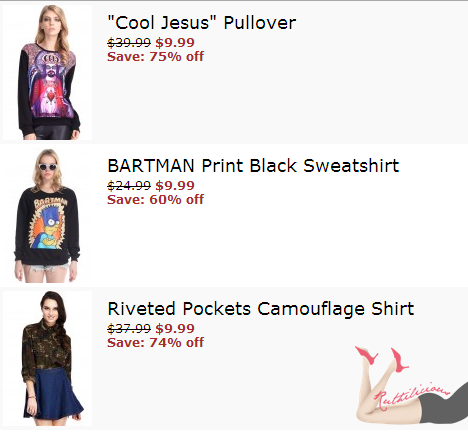 Last month, I did a little shopping from Romwe, an online store which sells really affordable and fashionable pieces. It is a well-known brand in the blogging community (and I want to share it with you). I just received my first successful order from Romwe with FREE international shipping. This is also my first online purchase which was successfully shipped directly from US to Philippines. I usually use third parties whenever I order online (ship to US address). The shopping story started last April. I got some free credits from the store, and I thought it would be fun to use them during the Flash Sale when they sold items for only $9.99. I decided to pick only 3 items just in case the package gets lost. I used some of my credits and paid one item using Paypal. I love online shops that allow me to pay through Paypal. Click Read More to know more about my Romwe purchases.. I placed my order on May 2nd, and received a note that it was dispatched on May 7th. The delivery time usually takes 10 to 20 business days. I received my post office notice on May 29th. It was noted that I should bring my Paypal order confirmation/receipt. Probably, post office needs to see how much I paid for the items to check how much taxes they should charge. I sent my dad to pick up the items for me, and he was charged Php 100. I was expecting we only needed to pay Php 35. Anyway, I am very happy with my first purchase from Romwe. The items come in resealable plastic envelopes (which can be recycled). The materials, cloth and prints are of good quality. I cannot believe I only paid $9.99 for each item (around Php 500). I know this is not my first and last purchase. Have you bought anything from Romwe?